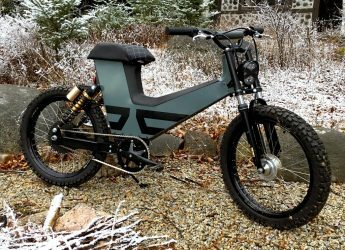 The SURU Scrambler is a unique electric moped innovation from an electric motorcycle manufacturer from Canada. 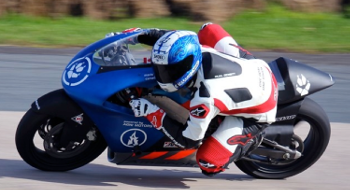 The company is a subsidiary of one of the first pioneers in electric motorcycles since 2011, Amarok Racing, a company that created worlds first fully monocoque electric superbike, the Amarok P1. 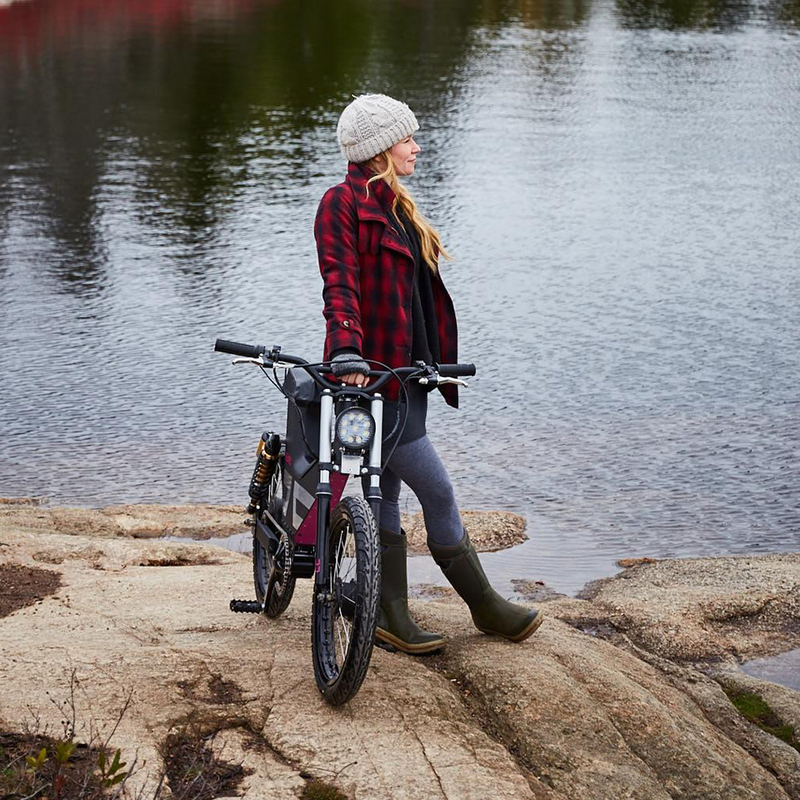 The SURU scooters are 100% made in Canada and 60% of the materials are sustainably sourced in Canada. 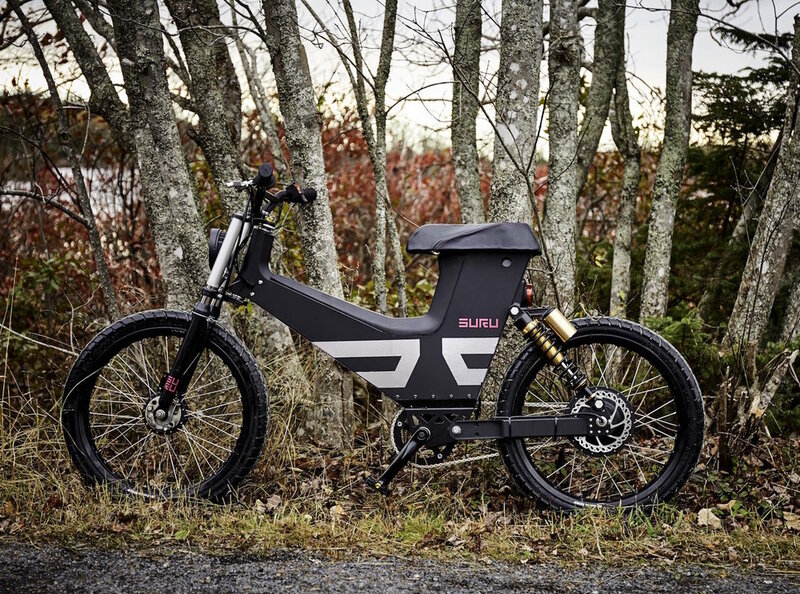 The name SURU is based on the initials of the names of the children from the founder of the company, Michael Uhlarik, an international award-winning motorcycle designer who studied industrial design in Toronto, France and at London’s prestigious Royal College of Art. 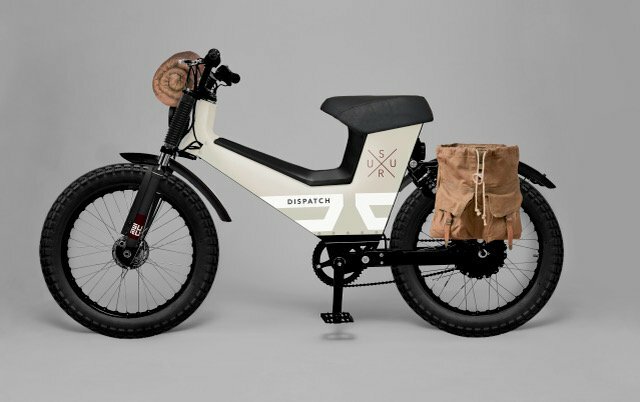 The Scrambler is the first electric scooter of the brand SURU. It is an electric mobility solution that essentially invents it’s own category. 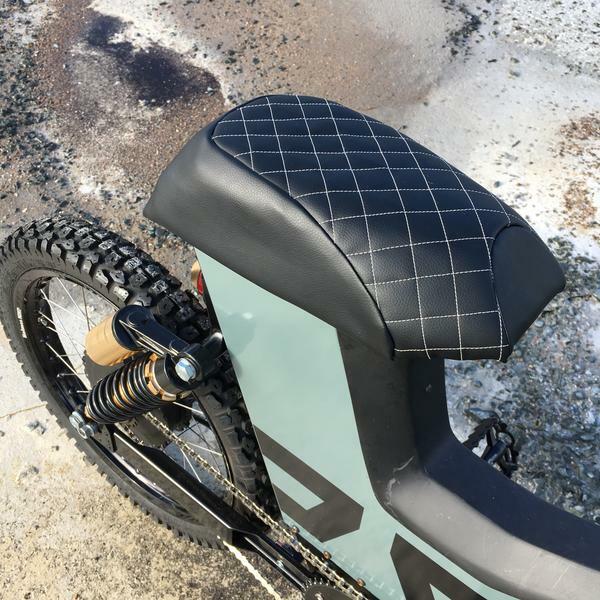 It is a bicycle-moped cross over that shares parts from both a motorcycle and a bicycle. 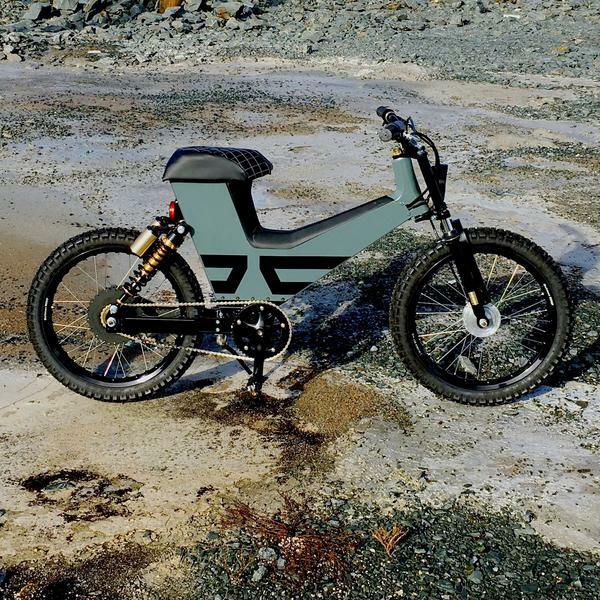 The moped offers bike pedals and big motorcycle wheels, suspension and brakes. The scooter has a removable Lithium battery made by Sony for a range of 50-70km. The charge time of the battery is 3.5 hours. The battery is lockable to prevent theft. The scooter is durable and robust. 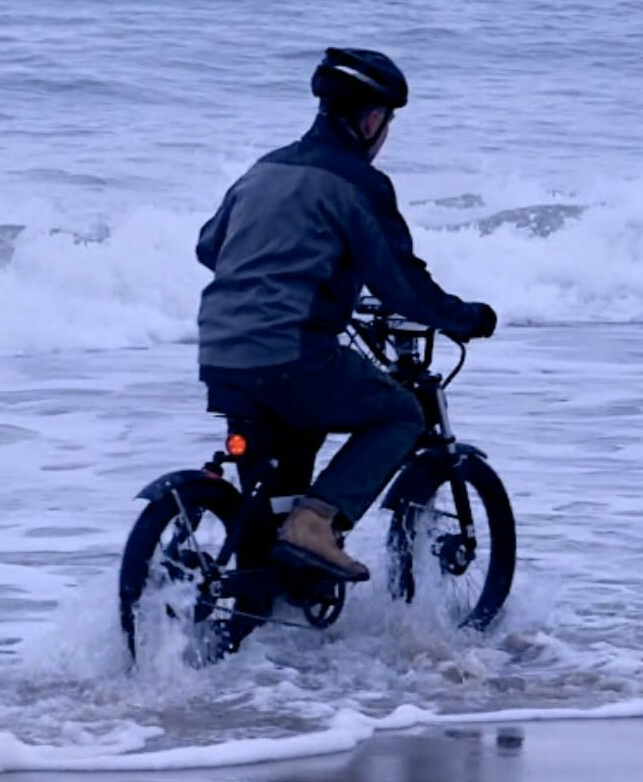 The wheels are 3x stronger than regular moped wheels and are rated at 100 km/h. 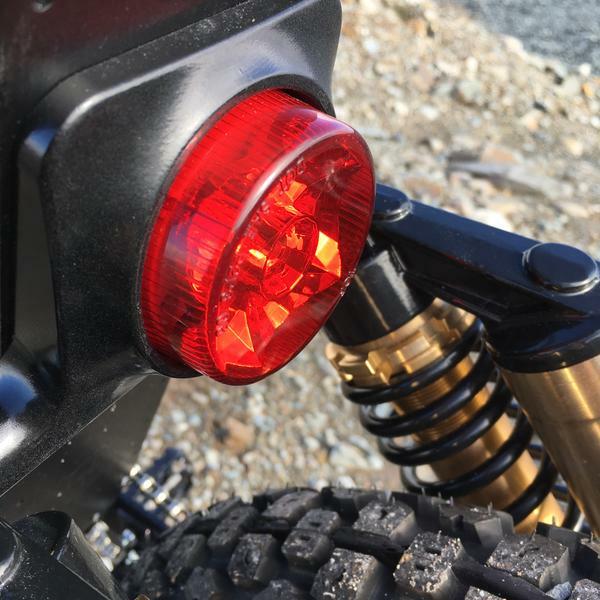 All electronics are integrated in the monocoque frame to make it impossible to be damaged by vandalism.The 1600 lumen head light is built in and not bolted on. The design has been prepared for public scooter sharing usage. 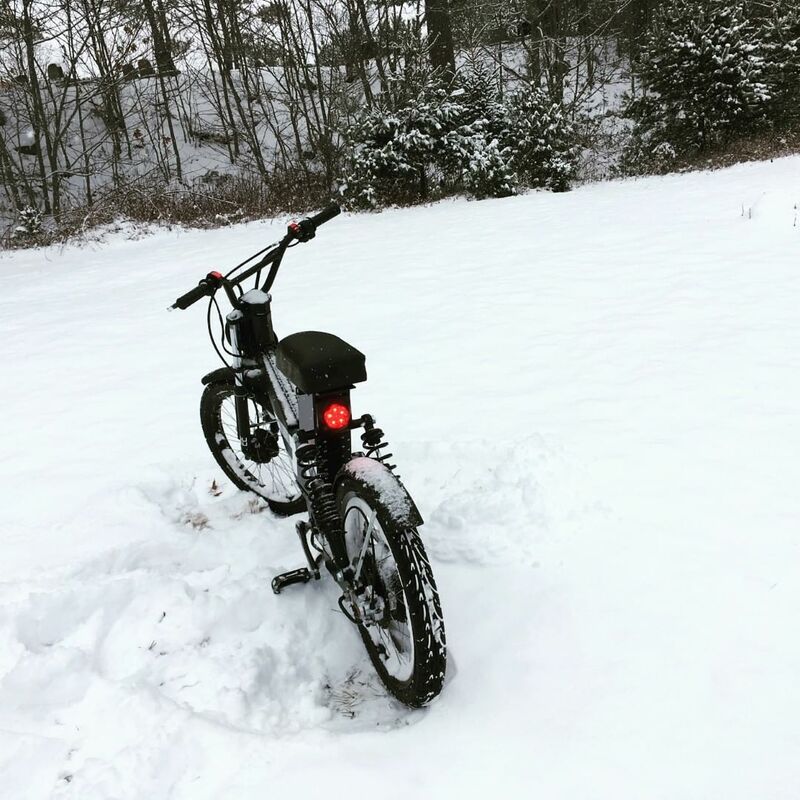 The scooter can be used in tough environments such as deserts, wet environments, off-road and in extreme cold (snow). The scooter is equipped with a motorcycle-grade 110mm brake drum (front wheel). The advantage of the brake is that it does not emit air pollution. Air pollution by disc brakes is more toxic for humans than exhaust fumes and up to 20% of the air pollution emitted by a standard vehicle is caused by disc brakes. 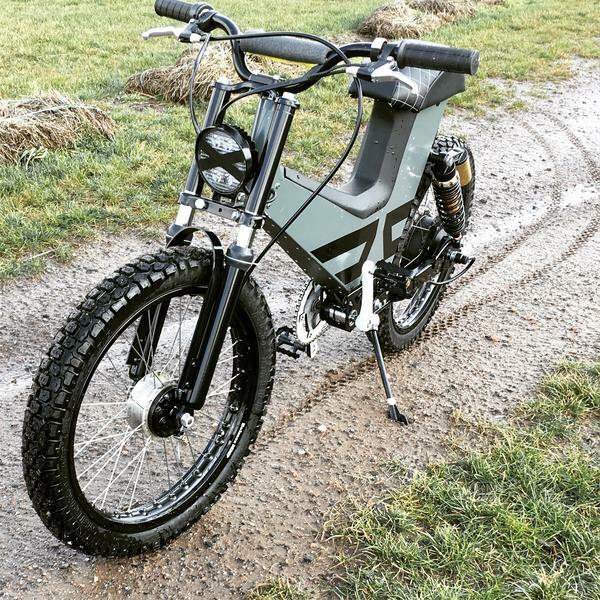 While the SURU Scrambler does use a rear disc brake, the front brake does not emit air pollution. 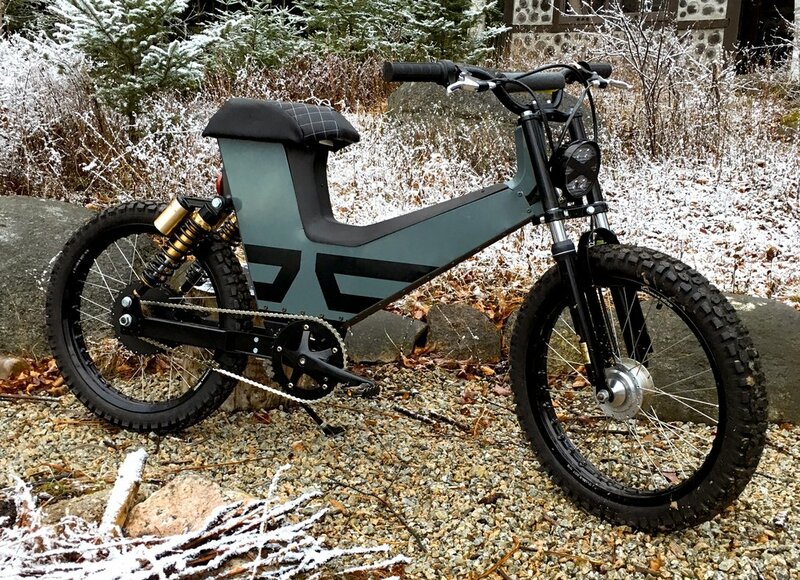 When the electric motor in the rear wheel would be configured to provide braking power (regenerative braking) it may be possible to skip using the rear disc brake and prevent the most toxic kind of air pollution. The scooter can be equipped with carrying bags for cargo and delivery purposes. 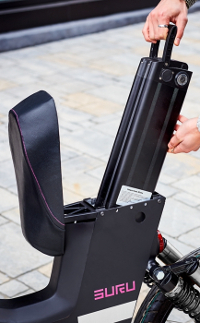 The scooter can be customized to meet specific business requirements. The scooter can be personalized with a custom design.